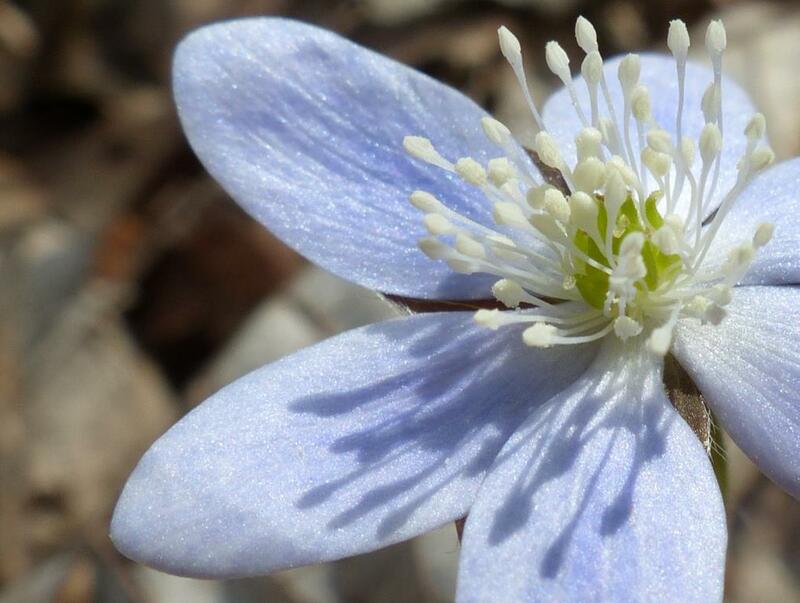 Hepatica. Most bloomed weeks ago; a few persist. Larkspur. So violet it makes your eyes hurt. Spotted Mandarin. Most fabulous name in the woods. 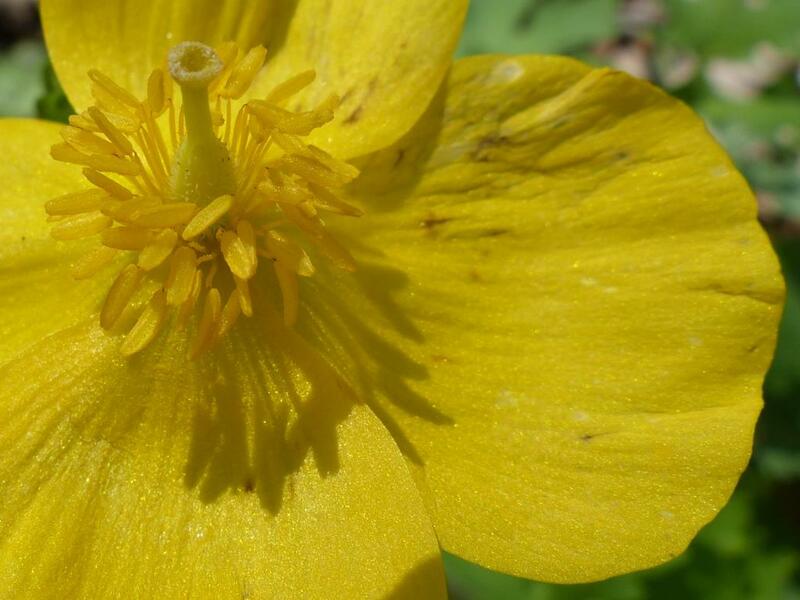 Celandine poppy. The zenith. The nonpareil. 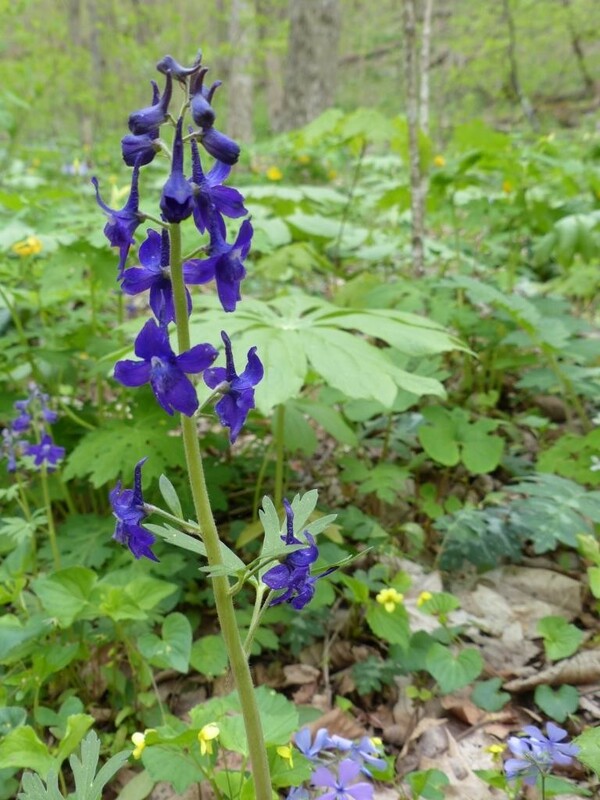 This entry was posted in Shakerag Hollow and tagged crazy bloom frenzy, sewanee, shakerag hollow, spring wildflowers on April 18, 2014 by David George Haskell. The spring equinox has passed, so light has the upper hand now. Darkness creeps away. The plants in Shakerag Hollow know this and are starting to crack out of their winter shells. 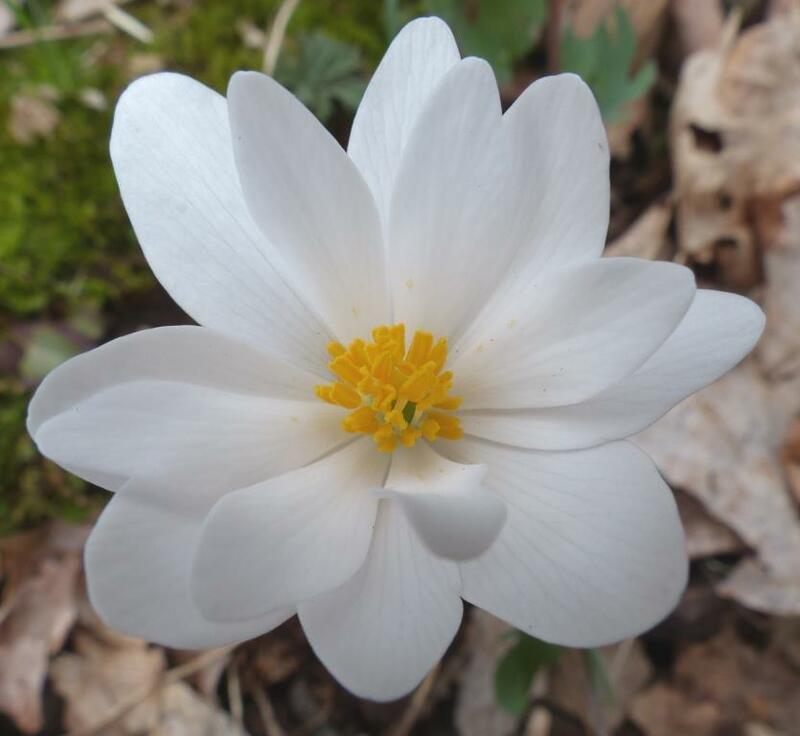 Bloodroot. Waiting, waiting for bees. 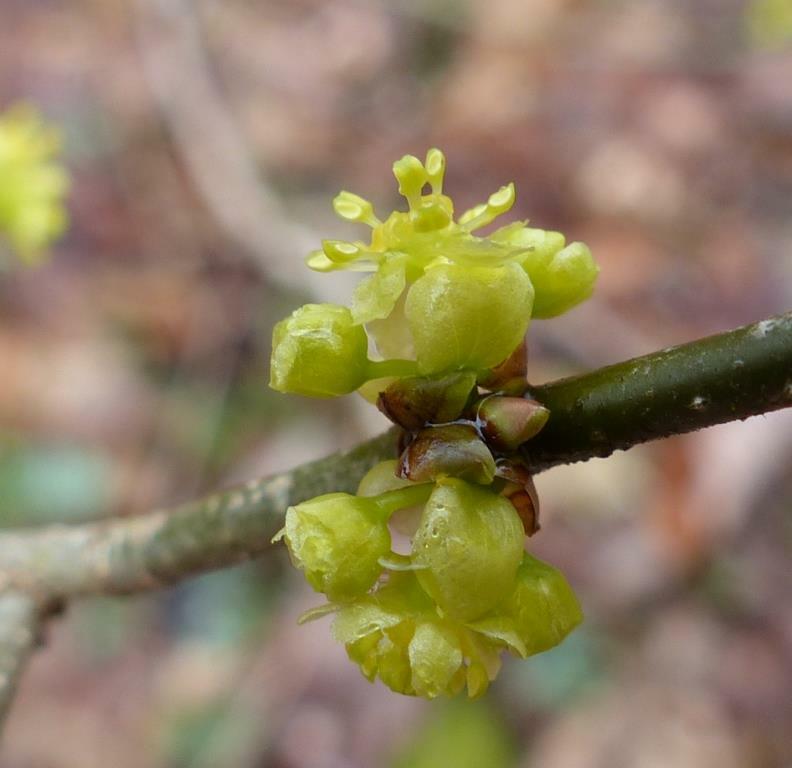 Spicebush: female flower. These flowers will turn into the bright red drupes so loved by migrant birds. Fast food for autumnal avian wanderers starts right here. Spicebush: male flower. Spicebush is dioecious, meaning that each plant is either male or female with, no doubt, a few individuals that break the rules. 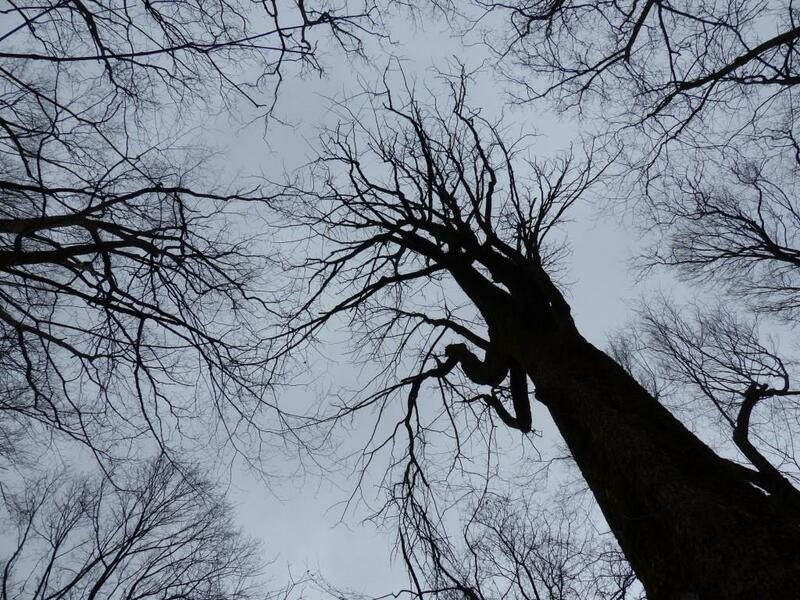 Above, the robber baron trees are constrained by their size and must delay leafing out until hard freezes are over. They keep Lent, it seems. The pagans below the canopy live under a different set of rules and hold a weeks-long herbaceous party. 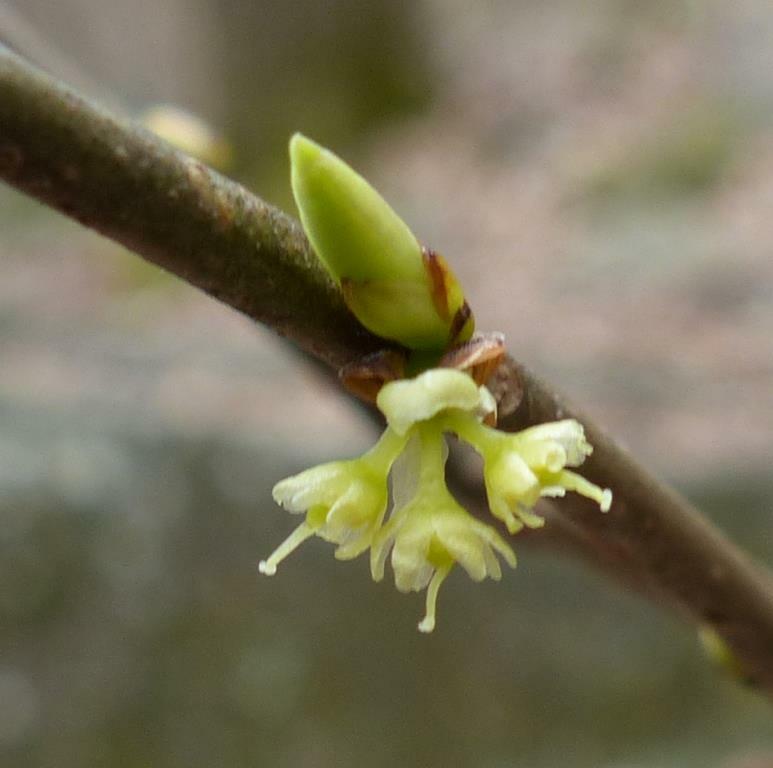 This entry was posted in Shakerag Hollow and tagged shakerag hollow, spicebush on March 21, 2014 by David George Haskell. 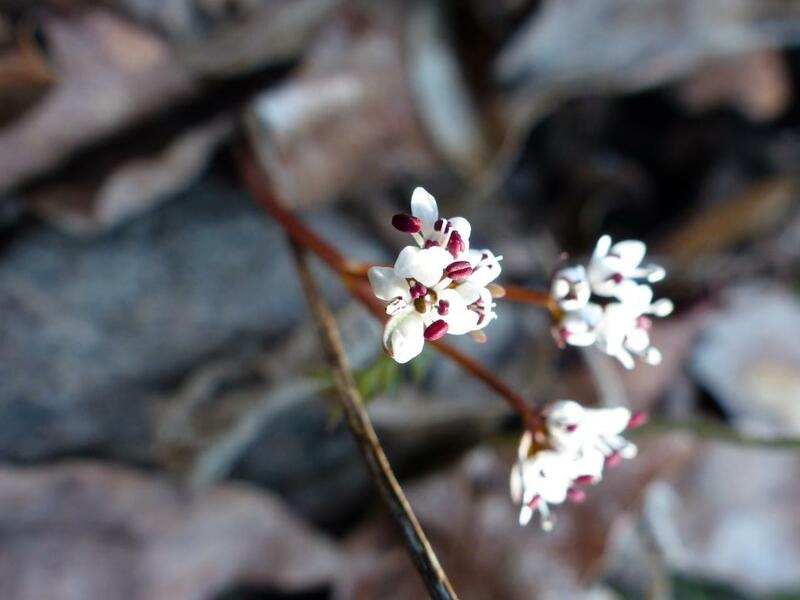 In bloom in Shakerag Hollow: Erigenia bulbosa, also known as “harbinger-of-spring.” The plant’s warm optimism will be greeted by temperatures in the teens tomorrow. Still, this solitary bloom emerging from a sea of dead leaves is a good sign that life is a-stir in the botanical world. 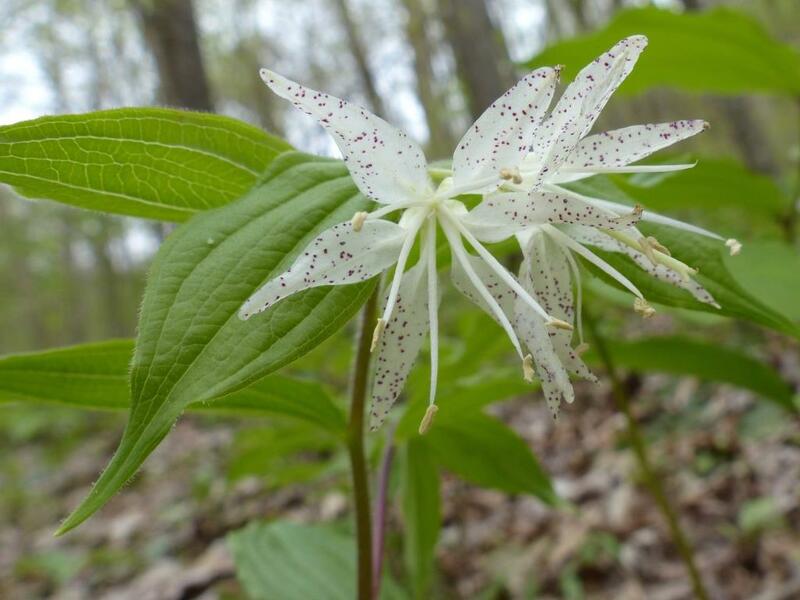 This entry was posted in Plants, Shakerag Hollow and tagged Erigenia bulbosa, shakerag hollow on February 25, 2014 by David George Haskell. The temperature dropped to minus five last night (minus twenty for disciples of Anders Celsius), the coldest that I’ve seen in Sewanee. I took a walk in Shakerag Hollow this morning to see how the woods were faring in this unusual chill. I’ve never experienced such silence here. The quiet was punctuated by woodpeckers drilling meager breakfasts from high in the canopy and trees occasionally snapping out gunshot sounds as their wood shattered. No sign of wrens, titmice, chickadees. The forest floor was mostly clear. Only a few deer tracks. Most birds and mammals are in hunker-down mode. Amazingly, given the cold, the springs were still running. 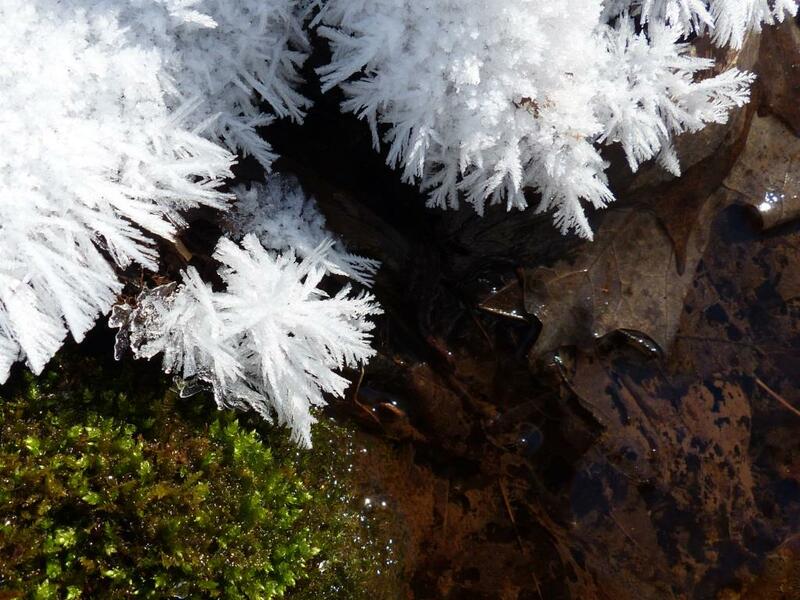 This flowing water created some beautiful ice formations on the rocks all around. When water vapor rises from the stream, it hits cold, dry air. This is an unstable mix, ripe for an encounter with a pointy nucleation site: an icy strand of moss or rock edge. 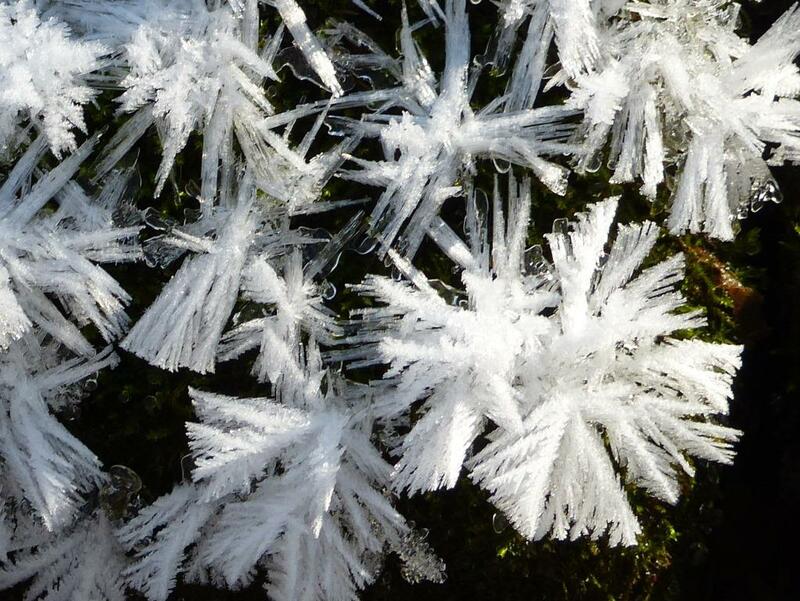 Once they get started, these crystals build on themselves, growing “flowers” from the air. 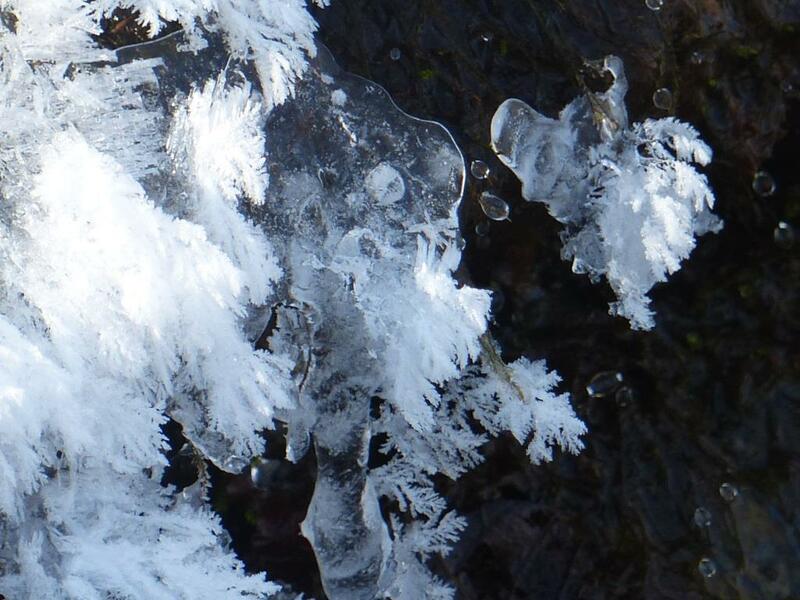 An icy foreshadow of the spring ephemerals? The largest ones are a couple of inches across. Similar formations are found in polar seas and host very unusual communities of bacteria. 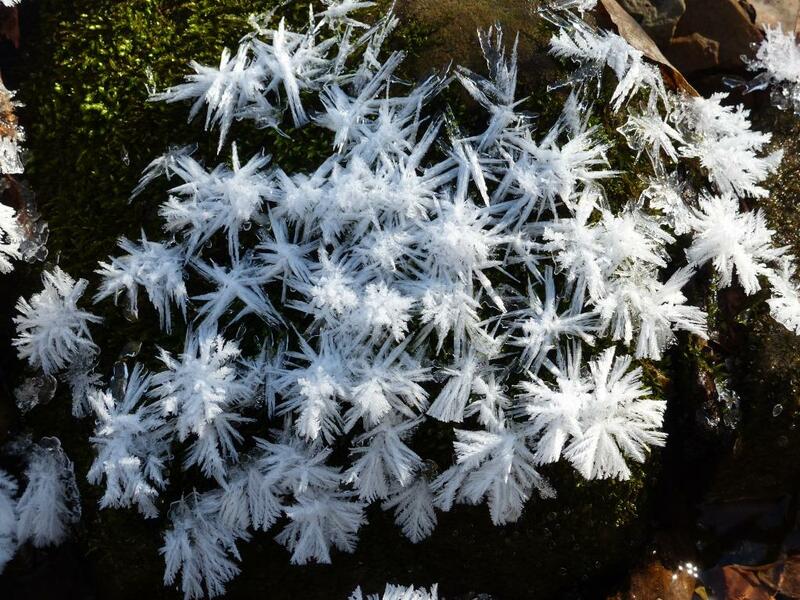 This entry was posted in Shakerag Hollow, Water and tagged frost flower, ice flower, polar vortex, shakerag hollow on January 7, 2014 by David George Haskell. The coming wave of songbird migration has plants getting excited: finally they can get the kids out of the house before winter’s rigors set in. As thrushes, vireos and warblers move southward by the millions, their hunger creates an opportunity for seed dispersal that many plants have grabbed with enthusiasm. 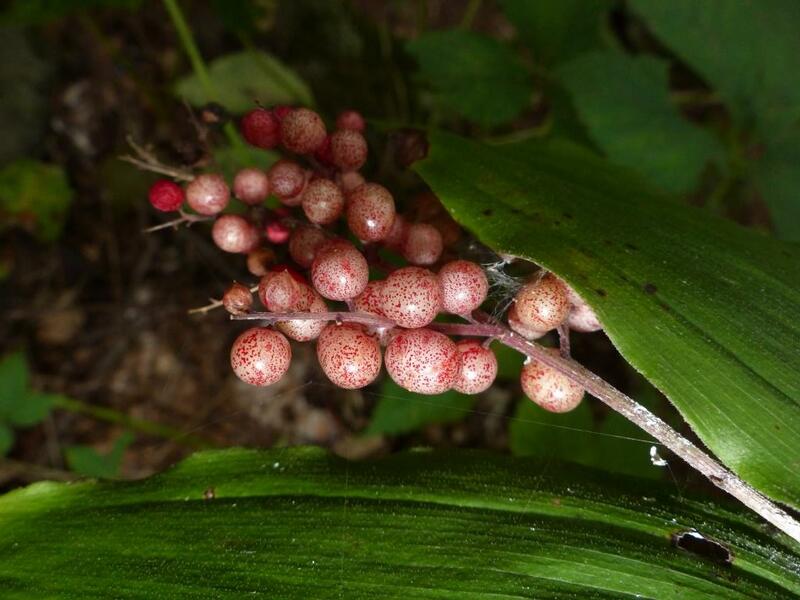 Look around in the late summer woods and you’ll see berries fattening up, preparing the bribe for passing birds. Bright red is the color of choice, the hue most likely to seduce an avian eye, so berries tend toward the garish, not the subtle blush. We’re a few weeks away from the peak of migration (late September through early October brings the largest numbers), but the plants are ready. These eager food vendors include spicebush, dogwood, yellow Mandarin, Jack-in-the-pulpit, and Solomon’s plume. The similarities of the forests of Japan, central China, and the southern Appalachians in appearance as well as in ecological associations are in many instances so great that a sense of déjà vu is experienced by botanists by one of the regions visiting the other. 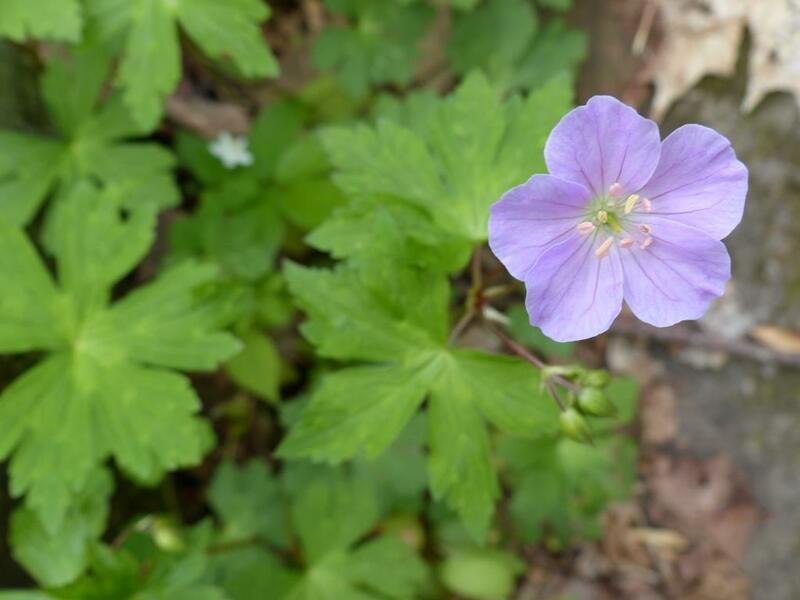 These botanical connections are reminders that Asian and American temperate forests were once connected, a connection that was severed as the world dried and cooled in the late Cenozoic. But it is also the result of a few long-distance dispersal events between climatically similar areas. Animals move to the beat of a different biogeographic drummer. Their kinship patterns are more predictable: western and eastern North America share many close relatives, connections south to the tropics are also common. So the migration of American birds is powered by Asian food. The botanical restauranteurs hope that the birds opt for the take-out option, carrying seeds away from the parental storefront. Most of these seeds will land a few meters from the parents, but a very small number might make a huge leap, perhaps landing in southern Mexico or on the coast of South America. There, they’ll likely perish. But the biogeographic future is written by the one or two that can put down roots and flourish. The same is unfortunately true for plant diseases. A few long-distance migrants are reshaping the forests of the world. 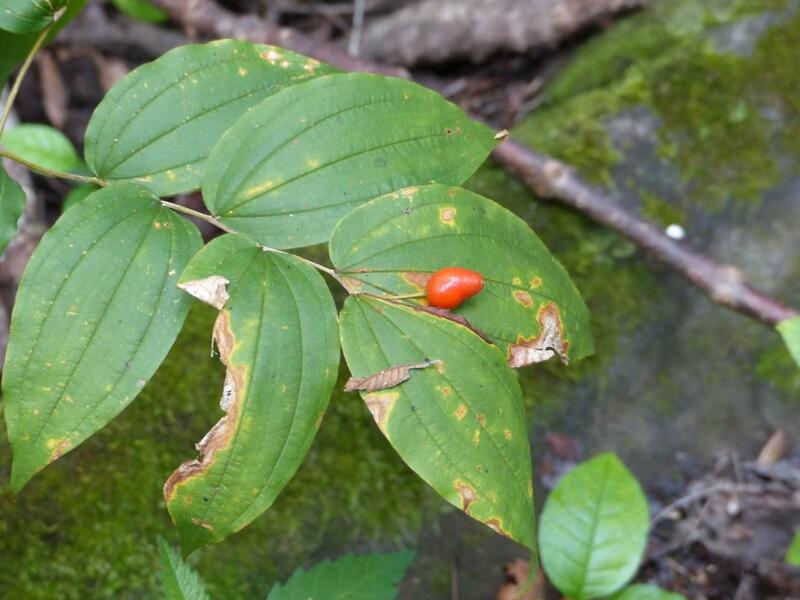 It is no accident that so many of the more notable plant-killing invasive diseases in the Southern Appalachians have their origins in Asia. Once they get over here they find a “home way from home,” minus the constraints that they experienced in their homeland. I’ve rambled about the color red before, both here on the blog (“Quite possibly the most overused image of North American birdlife”) and in The Forest Unseen (“November 5th — Light”). I’ll note briefly here that until the leaves fall in a few weeks, the plants face an uphill battle against the physics of light in the forest. It is dark in the woods these days (photography is impossible without steadying the camera on my boot or using a flash). The summer tree leaf canopy is not only robbing most of the light, it is selectively stripping out the reds. Only when a shaft of sun sneaks through a canopy opening do these fruits truly shine. As autumn comes on, the botanical beacons will light up more often. 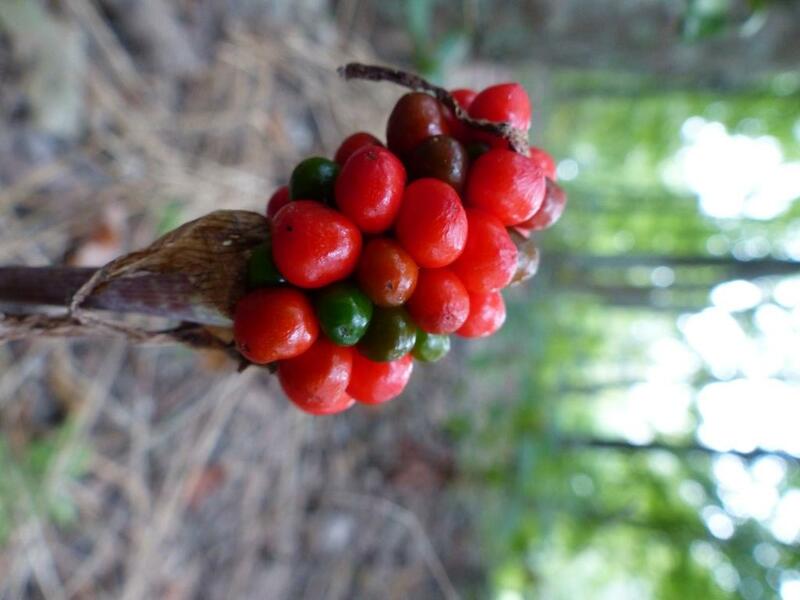 This entry was posted in Archosaurs, Berries, Shakerag Hollow and tagged seed dispersal, shakerag hollow, southern appalachians on September 4, 2013 by David George Haskell. One of Shakerag Hollow’s giant trees has fallen. An ash that until last week held its arms in the highest reaches of the canopy now sprawls across the forest floor, its body utterly torn. I’ll go back soon and “measure” things (how tall? what weight of wood came slamming down? ), but for now: just awe. I did not see the fall, but came by soon after. The trunk was … indescribable. Some grand words are needed, for barely imaginable violence had been at work. Rent asunder!? The whole wide trunk was twisted and split open, lengthways, in several long gashes. Other trees, themselves no mere saplings, were smashed into the ground. Large boulders were shifted as roots reared and cracked. The air was infused with the odor of fresh-split wood. An overtone of bitterness, like cut oak, but mostly a sweet smell, almost honeyed. I found the tree in the morning and returned in later in the day for another look. As I stepped closer in the warm afternoon, I hesitated then held back. 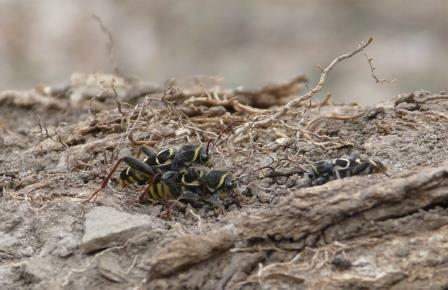 There were wasp-like creatures, big ones, swarming over one of the thick exposed roots. These insects were scurrying, flickering their wings, crawling over each other. A frenzy. Black with bold yellow stripes. Buzzing as they flew. Had the tree fall unearthed a buried wasp nest? But something was not quite right about these wasps. I moved forward slowly and saw their fat hind legs, too beefy for a wasp. Crickets? No. Then the wing cases, striped in black and yellow: beetles! Wasp-mimicking beetles of some kind. I moved to the side of the tree and saw hundreds of them, racing up and down the bark. They were on no other trees nearby. Half of the beetles were copulating; the other half seemed intent on colliding with the mating pairs. Even though I now knew that they were harmless, their waspy nature made me cautious. Even their short curved antennae were creepily hymenopteran in style (oh yes, those hymenoptera have style). Who were they? To identify them, I spent some time in the online funhouse known as the Photographic Atlas of the Cerambycidae of the World. This is an amazing site devoted to a single family of beetles, the so-called longhorns (although many of them do not have long antennae). The family contains twenty thousand species, an impressive number when we remember that there are fewer than six thousand mammal species. Some of these cerambid beetles run afoul of humans when they bore into trees and wood that we’d rather they stayed out of. A few of them are “invasive exotics,” killing off native plants. But the beetles in Shakerag were natives: Banded Ash Borers (Neoclytus caprea (Say) 1824). They have an interesting life history, finding recently downed ash and oak trees, then laying their eggs in the bark. 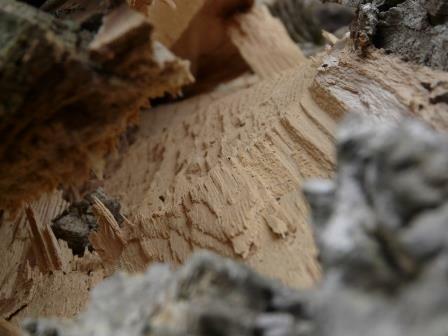 The larvae then chew on the wood below the bark, emerging next spring to start the hunt for a newly downed tree. So I was not the only creature in Shakerag following my nose to the smell of ripped up wood. How many huge ash trees have fallen lately? Not many. Every banded borer within miles must have been at this party. Those flickering antennae are surely tuned to the chemical particularities of newly opened ash wood. The beetles were one of the very first arrivals in the tree’s new existence. When a large tree falls, its ecological life still stretches out into the future. Perhaps half of the animals (and many more of the fungi) that the tree will nurture during its existence arrive after the tree has fallen. The ecological vitality of a forest can be judged by how may large trees are lying around, feeding beetles, hiding salamanders, growing fungi. This entry was posted in Beetles, Plants, Shakerag Hollow, Trees and tagged ash, borer, dead wood, old growth, sewanee, shakerag hollow on March 19, 2013 by David George Haskell.